Thursday, February 14—9 a.m. – 3 p.m. 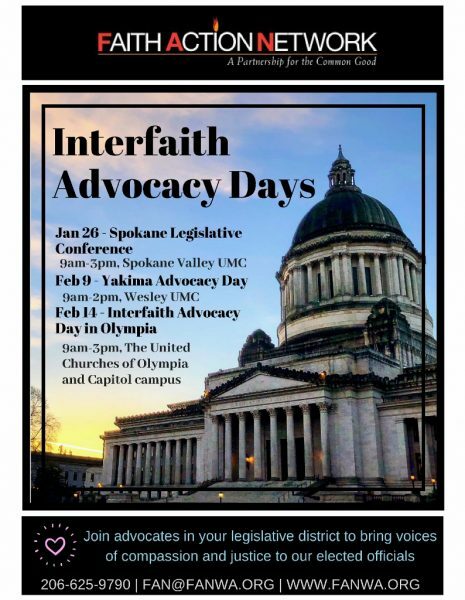 FAITH ACTION NETWORK’s Interfaith Advocacy Day brings to our elected leaders the voices of compassion and justice. Your meeting with legislators and/or their staff on this day is putting your faith in action! Contact Ursula Bannister or Beth Prevo for more information on IPC participation.